Light is an optics technology startup that is reinventing photography with its revolutionary L16 camera. I was the company’s first copywriter, which meant I touched all things word related—from external comms and content marketing. Copywriting: I developed a consistent brand voice and identity and implemented it across all channels: website, email, company blog, video scripts, digital ads, and more. Content marketing: I commissioned, edited, and produced original photo essays and artist-led series to inspire new L16 photographers. You can find the commissioned work on Exposure. Support content: I wrote and edited knowledge-based articles for Light’s support site, making complex technical concepts accessible for a broad audience. Audience engagement: I managed and wrote copy for all of Light's active social platforms (Facebook, Twitter, Instagram, Pinterest). I also curated user-generated content, analyzed social growth trends, and developed our audience personas. Creative Management: I set the editorial calendar and created new processes to move copy throughout the marketing team. I also managed a creative budget, as well as an array of freelance photographers, writers, videographers. 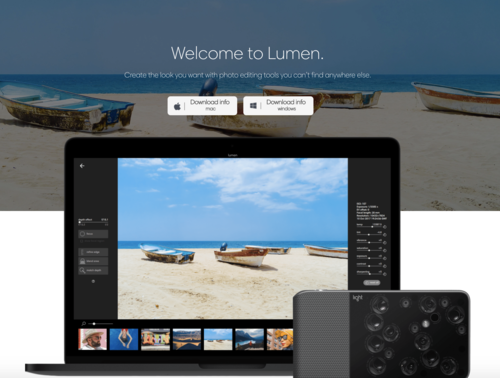 UX writing: I collaborated with Light's UX design team to create clear, engaging, intuitive experiences in all Light products, from the L16 camera to our desktop software .